Add one more issue to the growing list of harms from opioid abuse: Long-term use may lead to hormone deficiencies that affect a man’s health. The review also found that about one in every five long-term opioid users also winds up suffering from low levels of the hormone cortisol. Cortisol is best known as a stress hormone because of its role in the “fight-or-flight response,” but it also helps regulate the body’s metabolism. “This information can be used to maybe discourage people who are using opioids to get into a euphoric state, because it happens at the expense of their sexual function,” Najafabadi said. 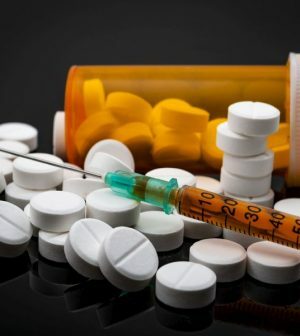 Misuse of and addiction to opioids — which include prescription painkillers (such as OxyContin), heroin and synthetic opioids (such as fentanyl) — has led to an epidemic in the United States, with 47,000 overdose deaths reported in 2017, according to U.S. government data. Experts suspect that opioids can interfere with the body’s hormone levels by influencing the hypothalamus, the portion of the brain that links the nervous system to the hormone system through the pituitary gland, Najafabadi explained. To see if there was any medical evidence that shows a possible link between opioids and hormone levels, Najafabadi and his colleagues conducted a literature review. They eventually boiled all existing medical evidence down to 52 studies involving over 18,000 patients, including people who’d been using opioids longer than six months. Najafabadi presented the findings Sunday at the Endocrine Society’s annual meeting, in New Orleans. Research presented at medical meetings should be considered preliminary until it is published in a peer-reviewed journal.